The Freight Transport Association (FTA) has urged the government to provide clarity on the future of the Severn crossings, which are due to return to public ownership in 2018. Currently operated by Severn River Crossing plc, the two bridges linking south-west England to south-east Wales have some of the highest tolls in the country. According to the FTA, the net toll revenue received last year was approximately £98 million, while maintenance costs are around £15 million. Ian Gallagher, the industry body's head of policy for Wales, said there is "genuine scope" to reduce the tolls by more than the 50 per cent reduction that was announced in the last Budget. The FTA appeared before the Welsh Affairs Committee to give evidence about the crossings and urge members to press the government for clearer information about future plans. Earlier this year, the association provided written evidence calling for the tolls to be reduced to the required level to cover maintenance and operating costs, or scrapped altogether. Mr Gallagher said people and businesses who rely on using the bridges every day are currently facing uncertainty about what they will be expected to pay and how the crossings will be managed. "It is unthinkable that we are so close to the transition date and still do not know what this will mean for users and staff," he added. 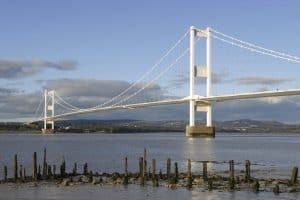 The FTA appeared before the Welsh Affairs Committee alongside one of its member firms, Owens Group, which is a frequent user of the Severn crossings. Ian Jarman, a spokesman for the company and vice-chair of the FTA's Welsh Freight Council, said: "There is an urgent need for free-flow technology to be used to ease congestion around the toll plazas, along with the need for high-frequency discounts and the potential of off-peak running time discounts too."